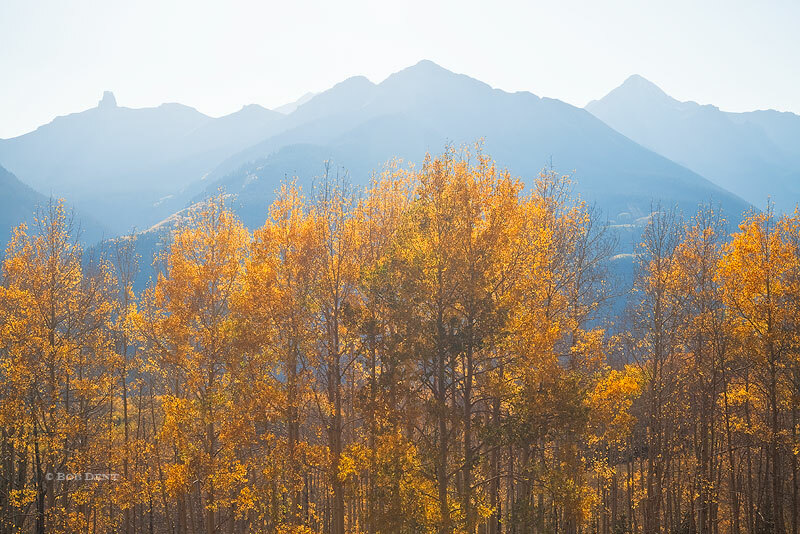 This past autumn I was able to spend some time exploring and photographing some of my favorite fall destinations here in Colorado. I've narrowed down the large number of images I shot to a small selection of my favorites from the trip. Enjoy! 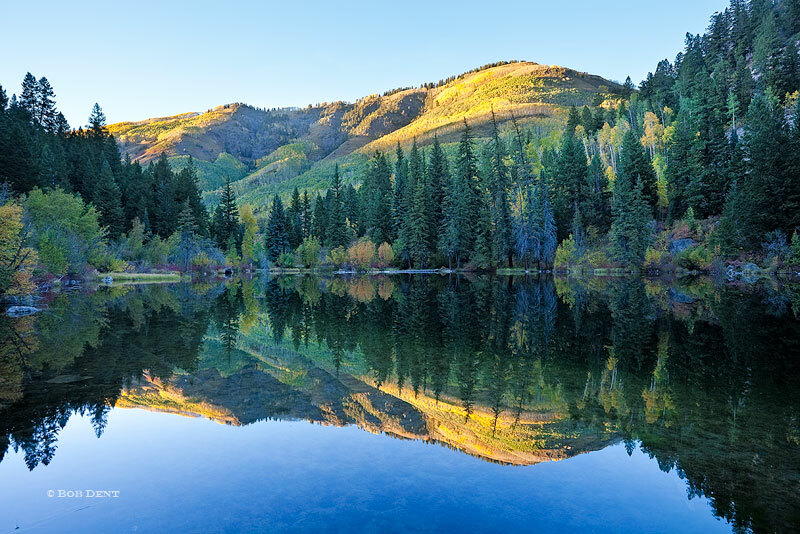 Sunset reflection at Lizard Lake, White River National Forest, Colorado. Photo © copyright by Bob Dent. 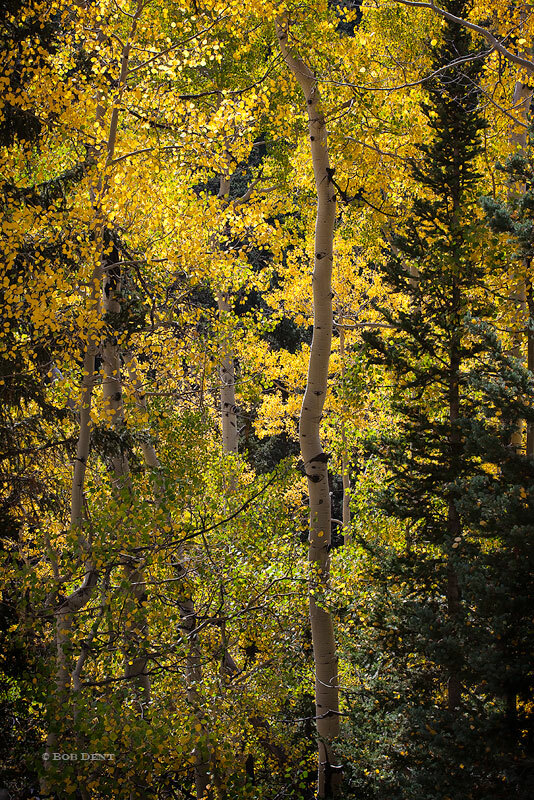 Aspen forest in autumn light, Uncompahgre National Forest, Colorado. Photo © copyright by Bob Dent. 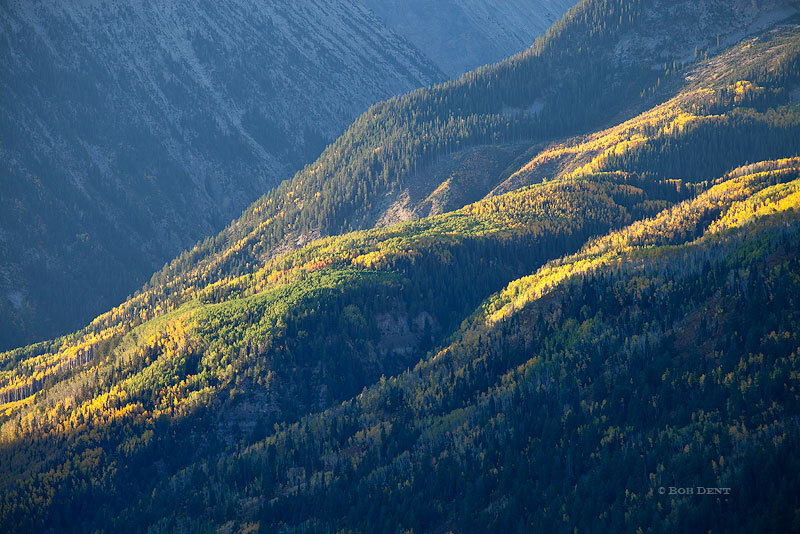 Golden aspens below Lizard Head Peak, Sunshine Mountain and Wilson Peak, Uncompahgre National Forest, Colorado. Photo © copyright by Bob Dent. 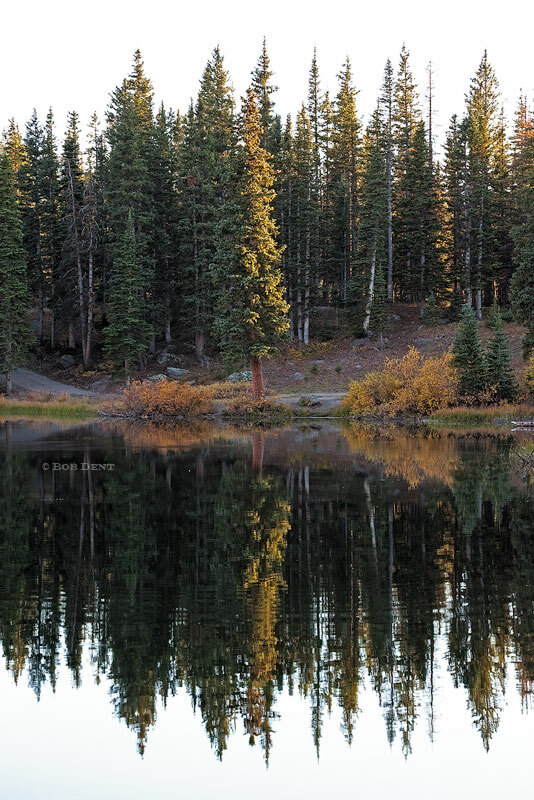 Pine trees reflecting in bright sunset light, Alta Lakes, Uncompahgre National Forest, Colorado. Photo © copyright by Bob Dent. Sunrise light cuts across the slopes of Chair Mountain, Raggeds Wilderness, Colorado. Photo © copyright by Bob Dent. 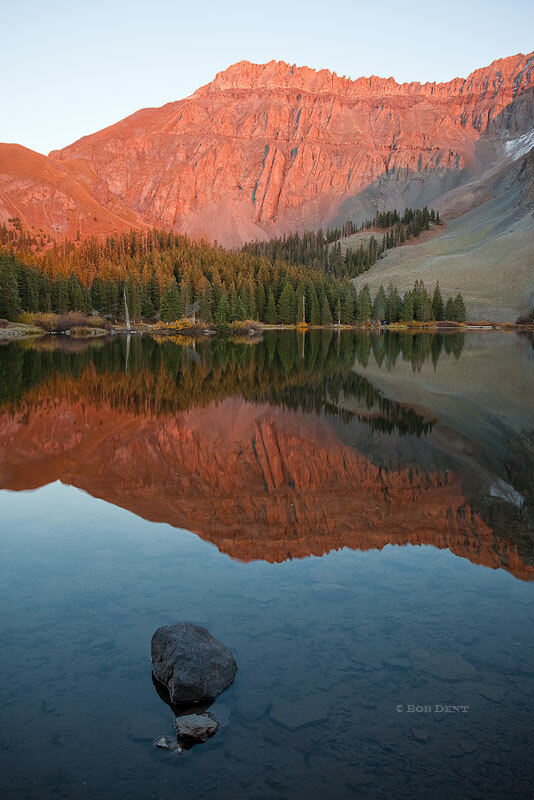 Last light at Alta Lakes, Uncompahgre National Forest, Colorado. Photo © copyright by Bob Dent.